This beautifully updated condo in the heart of the Stadium District is super clean! Gorgeous views of Commencement Bay, Mt Rainier, the Thea Foss Waterway and so much more await you in this 2 bedroom, 1.5 bath unit.This condo boasts new SmartCore Pro White Oak waterproof vinyl plank flooring throughout as well as white cabinets, gorgeous NEW white quartz counter tops & NEW WA/DR! Enjoy the rooftop views, private parking and all the amenities of upscale downtown living. Easy access to/from I5! Directions:From I-5 exit north on I-705. Continue to Stadium Way exit, turn right on Stadium Way, turn left at the light onto S 4th. Turn right onto Broadway. Complex on the right. SchoolsClick map icons below to view information for schools near 235 Broadway #240 Tacoma, WA 98402. Tacoma Real Estate at 235 Broadway #240 Tacoma, WA 98402. Description: The real estate listing at 235 Broadway #240 Tacoma, WA 98402 with the MLS# 1402577 has been on the Tacoma market for 90 days. This property located in the Stadium District subdivision is currently listed for $330,000. 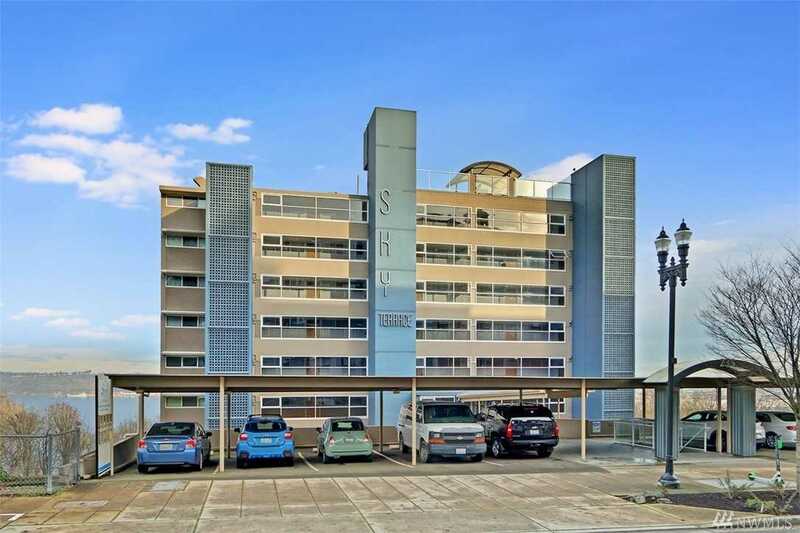 You are currently viewing the property details of the NWMLS listing at 235 Broadway #240 Tacoma, WA 98402, which features 2 bedrooms and 2 bathrooms, and has approximately 888 sq.ft. of living area.